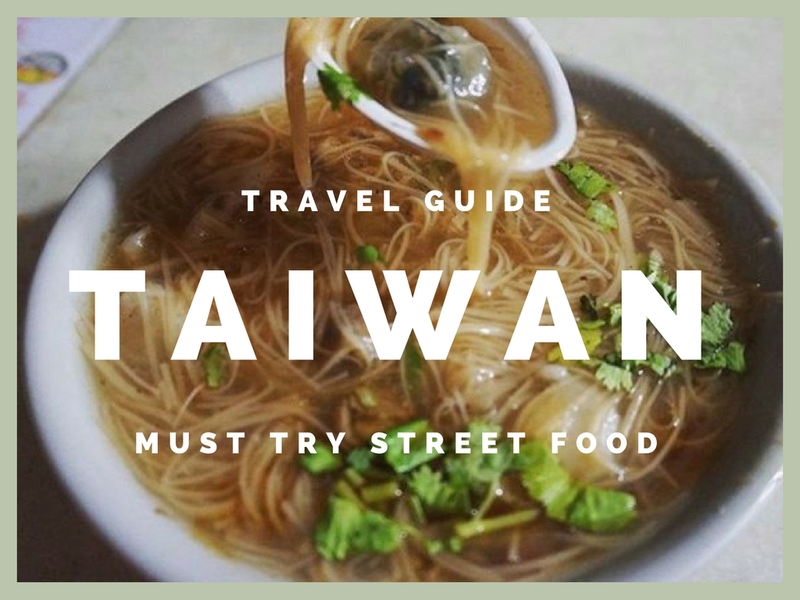 You should not miss trying any of these street foods on your next visit to Taiwan! Taiwan is the perfect destination for travellers craving for an exciting gastronomic experience. Its vibrant night markets—such as the Shilin Night Market and Raohe Street Night Market in Taipei and Huaxi Street Market (Taiwan's first tourist night market)—are heaven for foodies, what with its line-up of food stalls offering interesting and exotic local food. Taiwanese know their chicken really well! It would be a total bummer if you leave this destination without trying the XXL Fried Chicken, a huge piece of chicken breast. Breaded and deep fried, it's sprinkled with white pepper, chili, and fried basil powder. Brave enough to eat something smelly? Try stinky tofu, a popular Taiwanese street food that is basically tofu submerged in a brine of fermented milk, vegetables, and meat. You can have it fried, grilled, or with soup. If you think all sausages are the same, then you have not tried Taiwanese sausages yet. It’s unique because it’s a big sausage slit open with sticky rice and a smaller sausage inside, which makes you eat two sausages! This omelette with a twist is served not only in the morning. Taiwan's oyster omelettes is filled with small oysters, thickened with potato starch, and topped with cilantro and a savoury sauce for a completely unique omelette experience! Also known as “Taiwanese hamburgers," gua bao is flat steamed bread with a slice of stewed meat, pickled mustard greens, cilantro, and ground peanuts. If you want it healthy, go for a bowl of fruits with sweetened shaved ice or candied tomatoes with plums on skewer. Aside from tomatoes, you can also have strawberries or other fruits of your choice. Heading to Taichung? Make sure to check out cake shops and look for sun cakes or taiyang bing, Taiwan’s famous pastries with maltose filling. This dessert is a traditional Taiwanese dessert that's popular in the town of Jiufen. It is made of sweet potato, taro, tapioca, and jelly. Choose from a variety of syrup—from ginger tea to red bean—and have it cold or hot depending on the weather. Exotic as it sounds, pig’s blood rice pudding will give anyone a truly authentic taste of Taiwanese street food culture. It is sticky rice drenched in pig’s blood and steamed inside wooden baskets. It is then coated with peanut powder and topped with cilantro. Mochi balls are a staple in the streets of Taiwan and are traditionally filled with peanut or sesame. Today, it comes in different flavours such as green tea or strawberry. These glutinous rice balls also have a soft texture like marshmallows. Brace the long lines before you can have a bite of pork-wrapped scallions. Scallions are grilled first before it is wrapped in thinly sliced pork. Chicken feet, deep fried and often served with chili sauce, are found in almost all night markets in Taiwan. They have very little meat in them, making them a great snack to munch on while drinking beer or simply just as a late night treat for yourself. This noodle soup dish, also known as oamisoir, is made of oysters and vermicelli noodles—perfect for those craving for a rich and tasty treat. Have a sip of the flavourful soup that comes with the short, light brown noodles, topped with oysters and cilantro.